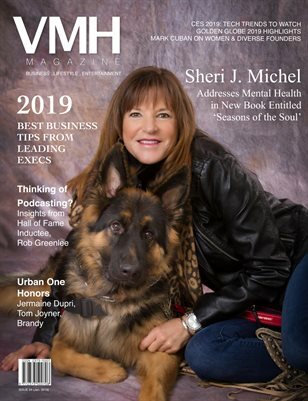 VMH Magazine is a reliable source of business, lifestyle, and entertainment news, reaching a diverse group of influencers. Enjoy our 24th issue featuring Author & Former Law Enforcement Detective Sheri J. Michel's incredibly moving story. Highlights include CES 2019 Debuts Tech Trends from Around the World, 2019 Golden Globes, Business Tips from Leading Execs, Mark Cuban's Thoughts on Women & Diversity, plus health, fitness and though-provoking editorials.